This recipe I learned from Dr. Joel Fuhrman on my cooking show. He is a master at creating delicious recipe with the most nutrient dense foods to get in the best health of your life. Find more of Dr. Fuhrman’s recipes on his website here. 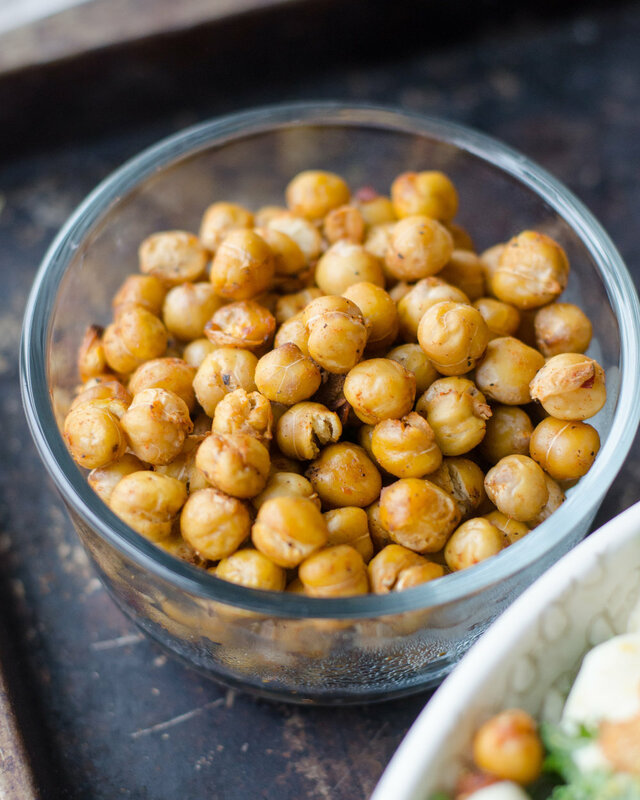 Pour the chickpeas in a bowl, leave some of the chickpea liquid to help the seasonings stick. Mix in all the seasonings. No oil necessary! Preheat oven 275° or 350°. For extra crispy bake on 275° for 2 hrs. For convenience bake on 350° for 40 min. Shuffle them around half way through.